There will be no recount in the L.A. Unified school board race. 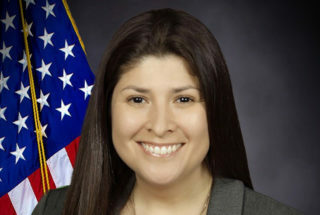 Huntington Park Councilwoman Graciela Ortíz, who narrowly missed a spot in the May runoff election by 31 votes, decided Wednesday not to challenge the March 5 primary results that the county certified last Friday. Her decision came hours before the deadline to request a recount in the Board District 5 race. In the May 14 runoff, Heather Repenning, a district parent and a former L.A. city official, will face frontrunner and teachers union pick Jackie Goldberg. Goldberg had been just shy of the more than 50 percent majority vote needed to win outright. Repenning got 13.13 percent of the more than 33,000 ballots cast in the primary — less than a third of the number of votes that went to Goldberg. Ortíz was the highest Latino vote-getter and fundraiser in the primary race. Six other Latino candidates were on the 10-candidate ballot. Repenning and Goldberg are both white. Repenning speaks Spanish; Goldberg does not. The board district, known as BD5, has about 90 percent Latino enrollment but has been represented by non-Latino school board members for 16 of the last 24 years. The seat has been vacant since July, when former board member Ref Rodríguez resigned after pleading guilty to money laundering charges. Whoever wins in May will join the school board as its seventh member — likely reshaping the majority, which now swings between reform- and union-leaning agendas — as soon as the county certifies the results. That certification date is tentatively scheduled for May 24, a county spokesman told LA School Report. Ortíz has worked for 13 years as an L.A. Unified Pupil Services and Attendance counselor and currently works at Linda Marquez High School. She is a member of United Teachers Los Angeles, which is backing Goldberg. At a candidate forum, she said teachers should have the ability as stakeholders to make decisions, and that lowering class sizes is key to educators’ effectiveness because it allows them to listen to their students’ needs. Ortíz was endorsed by dozens of elected officials, particularly from heavily-Latino cities in L.A. County. Ortíz speaks Spanish and was born and raised in Huntington Park, which is part of the southeast section of BD5. There are 67,000 students in the southeast section, which also includes Maywood, Cudahy and South Gate and has an overwhelmingly Latino and low-income population. The other half of BD5, which on a map looks like a backward letter C, is northeast of downtown, where about 32,000 students are enrolled in schools in whiter, more affluent neighborhoods like Eagle Rock, Los Feliz and Silver Lake. Latino students, however, are still the majority in BD5’s northeast section, making up 74 percent of enrollment.